Kim Winsch blogs as Destination Mom for Travel-Tot, LLC. She makes her home in Denville, NJ; she and her husband, Ted, are the proud parents of a 7-year old daughter. When Kim is not busy researching or writing, she enjoys traveling, spending time with friends, and volunteering in her community! One of the most memorable family vacations of my youth was a trip to the American Southwest; we toured the Grand Canyon, Death Valley, and Zion National Park. It was a breathtaking experience that opened my eyes to the wonders of the natural world around me. Now that my daughter is old enough to be captivated by nature, I count myself fortunate that we live within driving distance of one of our nation’s greatest natural treasures! Distinguished among all others by virtue of being the only National Park in the northeastern U.S., Acadia National Park in Maine offers visitors a chance to experience the awe-inspiring natural wonders and views for which our country’s National Parks are renowned! 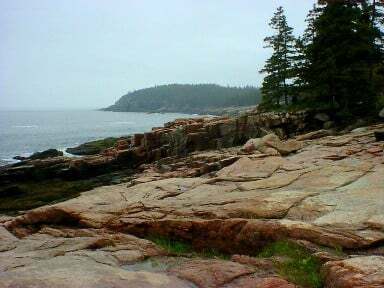 Situated near Bar Harbor in Mount Desert Island on the eastern seaboard of Maine, Acadia was the first National Park established east of the Mississippi river. From the mystifying forests of Mount Desert Island to the amazing views of the Atlantic from the peak Cadillac Mountain, Acadia is a definitive wonder! Best in late summer and autumn (when pesky black-fly and mosquito populations are in decline and the foliage is spectacular! 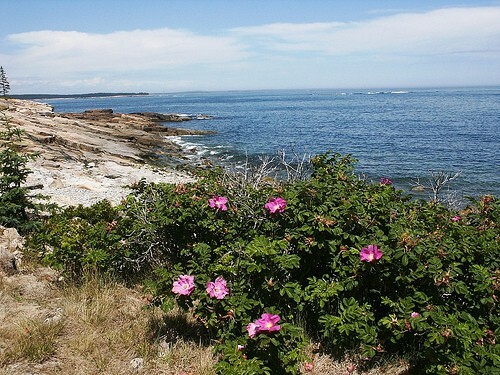 ), Acadia offers a number of activities specifically for kids, as well as exciting attractions for the self-guided family, such as: fascinating tide pools, hiking trails with breathtaking views, and exciting water-based tours. Acadia’s numerous tide pool-laden beaches appeal to visitors of all ages! Tide pooling opportunities can be found at Ship Harbor, Wonderland, Mount Desert Island, and Bar Island! Caution should be exercised when tide pooling, as rocks may be slippery; check these tide pooling tips for safety and etiquette. 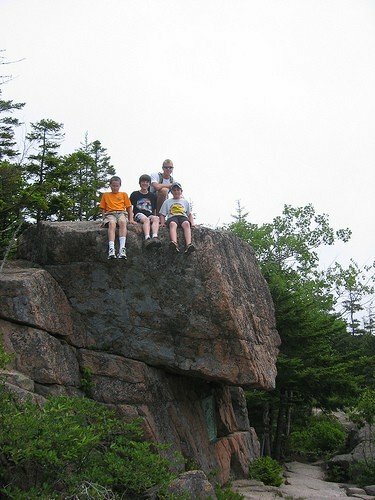 Breathtaking views and miles of family-friendly trails make Acadia a hiker’s dream! One of the most popular family trails is Ocean Path, which is approximately 4 miles long, round trip, over level, but slightly uneven, terrain. 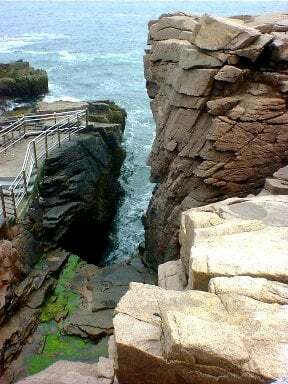 Ocean Path starts at Sand Beach, passes by Thunder Hole, and ends at Otter Cliff. If the waves are active, visitors to Thunder Hole may be treated to an amazing sea- spray display along with a “thunder clap” sound as the waves slam into a small cavern at the end of this natural inlet! Otter Cliff is a spectacular beachhead of softly rounded stones silhouetted against the backdrop of majestic cliffs; it’s a beautiful place to explore, but use caution when traversing the rocky shore, the stones can be very slippery. Between October 7th and March 6th, sunrise atop Cadillac Mountain is one of Acadia’s most amazing spectacles; early morning risers gather to take advantage of the fact that during this brief window, the mountain’s peak is the first place in the continental U.S. to be touched by the sun as it rises in the morning! The peak is accessible by car, bike, or for the insanely ambitious, by foot! One of the most exciting ways to explore Acadia is by boat! Visitors can enjoy a leisurely guided Nature Cruise, indulge in a Whale Watching excursion, or embark on a guided kayaking adventure (as a general rule, this activity is only available for families with children ages 8 and up who are at least 4’7”). Water tours of this natural wonderland provide visitors with an opportunity to sea the marine life up close, and to appreciate the beautiful view of the coastal areas of this majestic natural treasure. Visitors with limited time may wish to consider the Acadia National Park Audio Tour (CD is available at park visitor centers); the self-guided driving tour takes you from the Hull’s Cove Visitor Center parking lot to the top of Cadillac Mountain, passing most of the sights mentioned above, as well as Beaver Dam Pond and overlooks for Cranberry Island and the Gulf of Maine! Acadia is a veritable treasure trove of discovery opportunities; from land to sea, this preserve will delight and entertain visitors of any age. Making family memories that will last a lifetime can be as simple as sharing the wonders of the natural world; so get exploring and share the phenomenal natural gifts of our country with its next generation of caretakers! Ready for your trip to Acadia? 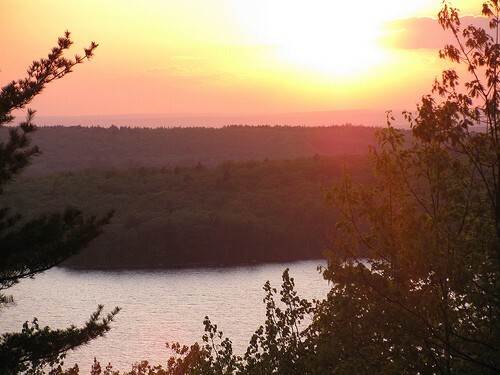 Trekaroo has put together some great information about visiting Acadia National Park! Hours of operation and entrance fee schedules are provided on Acadia’s webpage; notably, the park offers several fee-free days. Acadia is my most favorite place I have visited with my family. My husband had to drag me out of there when it was time to return home! 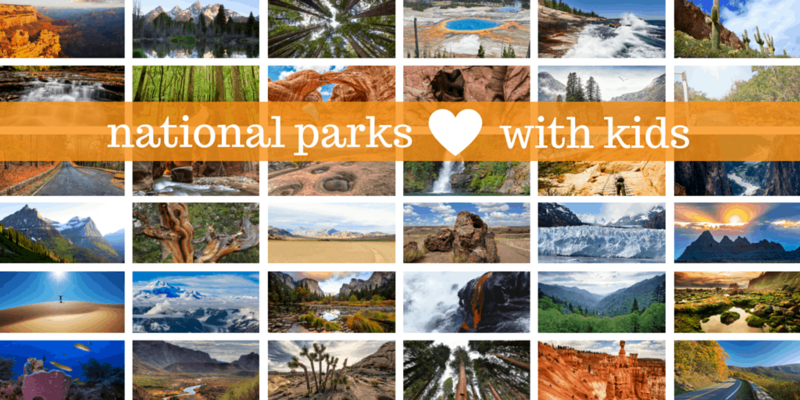 It is such a beautiful place and there is so much to explore! Bar Harbor is also such a quaint little town with much to offer visitors. Put Acadia on your bucket list, I don’t think you’ll be disappointed.